Randy Roberts is Distinguished Professor of History at Purdue University and the author of several books, most recently A Team for America: The Army-Navy Game That Rallied a Nation and Joe Louis: Hard Times Man. His earlier books include biographies of Jack Dempsey, Jack Johnson, and John Wayne; a history of American sports since 1945; and books on Charles Lindbergh, the Mike Tyson trial, and the Vietnam War. He lives in Lafayette, Indiana. Ed Krzemienski is a historian of sports and popular culture. 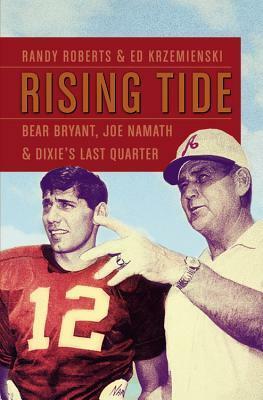 He served as primary consultant for HBO's Emmy-award winning documentary, Breaking the Huddle: The Integration of College Football, for which his manuscript on the subject served as a guide for production. He served in a similar capacity for HBO's documentary Namath, which also won an Emmy, and previously appeared on ESPN's Sportscentury documentary installment on Namath. An expert on college football, he has written on the subject for numerous popular publications, including ESPN's College Football Encyclopedia and ESPN's Big Ten Encyclopedia.